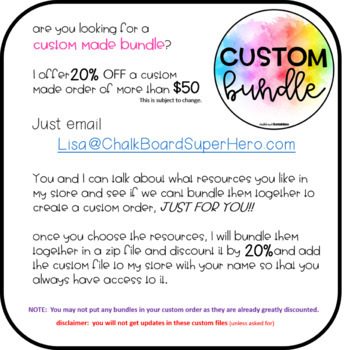 You and I can talk about what resources you like in my store and see if we cant bundle them together to create a custom order, JUST FOR YOU!! once you choose the resources, I will bundle them together in a zip file and discount it by 25% and add the custom file to my store with your name so that you always have access to it. 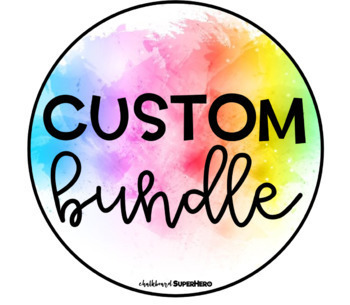 NOTE: You may not put any bundles in your custom order as they are already greatly discounted.